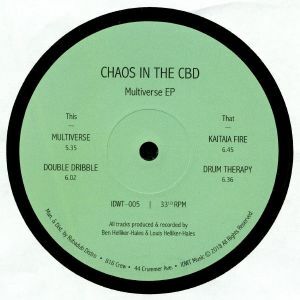 CHAOS IN THE CBD Multiverse EP vinyl at Juno Records. By now we should know that Chaos In The CBD barely gets it wrong. In fact, we can't think of one duff moment in their rapidly expanding discography. Certainly, there's much to set the pulse racing throughout the Multiverse EP, which happens to be their first missive of 2018. 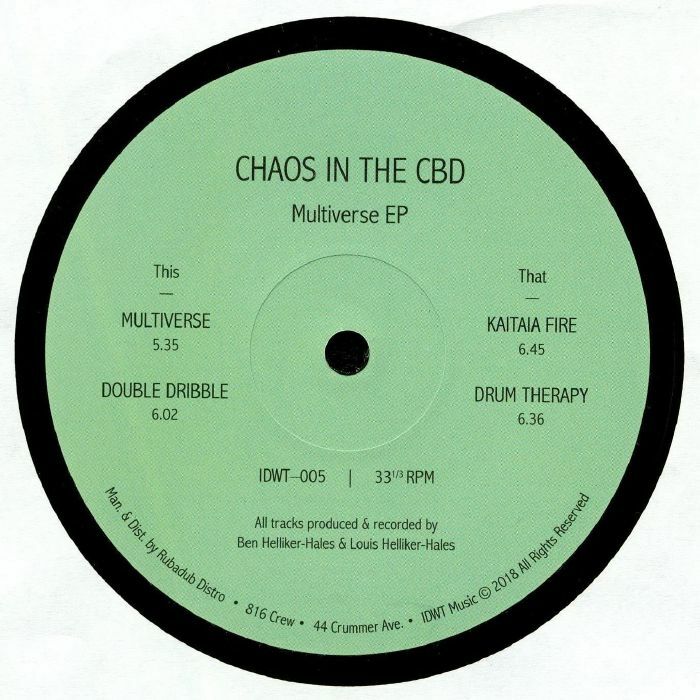 We're particularly enjoying the Adonis-goes-deep bassline, becalmed chords, druggy acid lines and bongo-laden beats of opener "Multiverse" and the humid tropical house hustle of B-side opener "Kaitaia Fire" - deep and woozy, yet percussively adventurous - but the whole EP is superb. 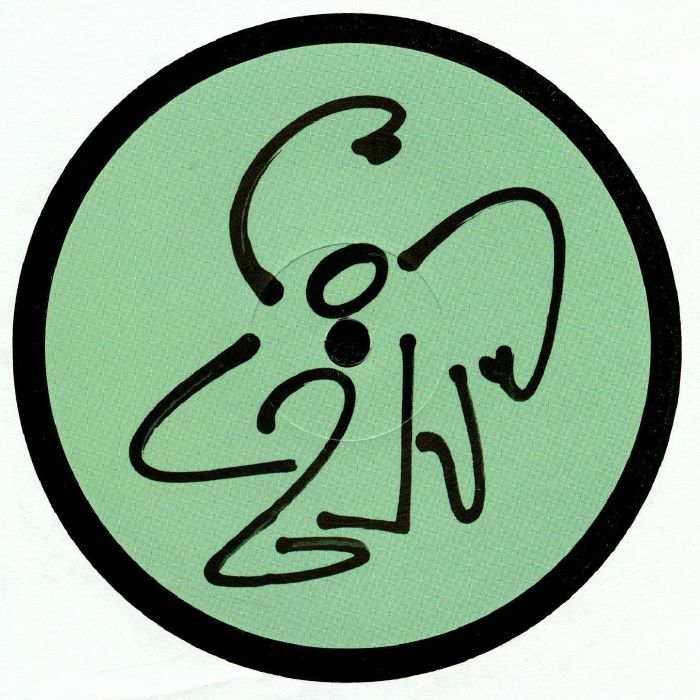 The other two cuts, "Double Dribble" and "Drum Therapy", are altogether deeper and calmer, with the latter also feeling wonderfully hypnotic in tone, too.